An interview between Sacha Stone and Dr Marco Ruggiero filmed in Sedona. 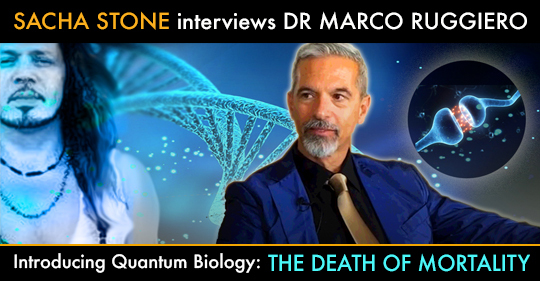 In this short film world renowned molecular biologist Dr Ruggiero introduces quantum biology and his latest innovation Immortalis. The breakthrough microbial formula activates the microbiome via quantum entanglement triggering time dilation at the level of DNA. In simple terms, this means that the eradication of degenerative diseases, systemic age reversal and immeasurable life extension are now a reality.